Hurricane Ridge is one of my favorite day trips from Seattle. The journey is a fun one that takes you from sea to sky. The trip starts by catching the ferry from downtown Seattle to Bainbridge Island. I love ferry trips. 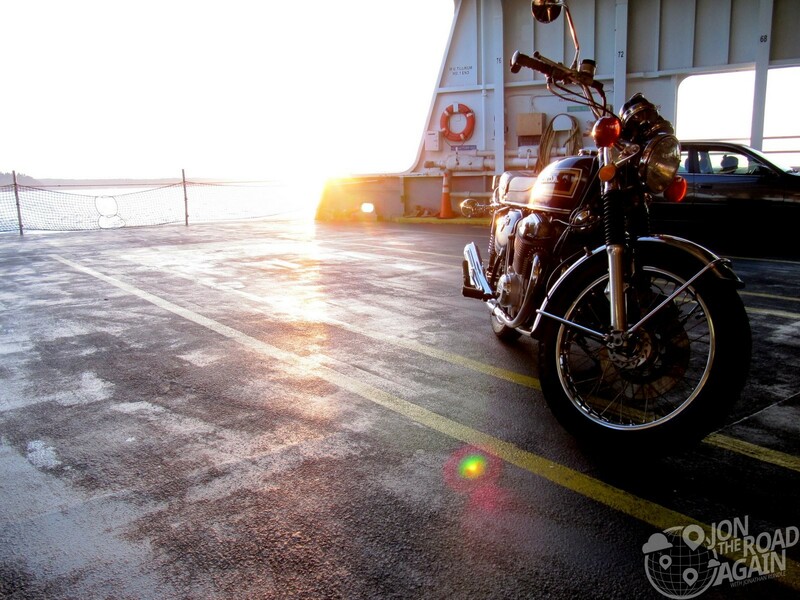 Motorcycles get first-on, first-off privileges, and you can bet on less traffic when you head to one of the islands (even Vashon Island) or onward to the Olympic Peninsula. To get to Hurricane Ridge from the Bainbride Ferry terminal (at the town of Winslow), you’ll follow 305 to 3 across Hood Canal Bridge to 104 and finally and onto Hwy 101, which will take you into Port Angeles. From there you’ll meet the curvy Heart-O-The-Hills Road which leads to the top of Hurricane Ridge. 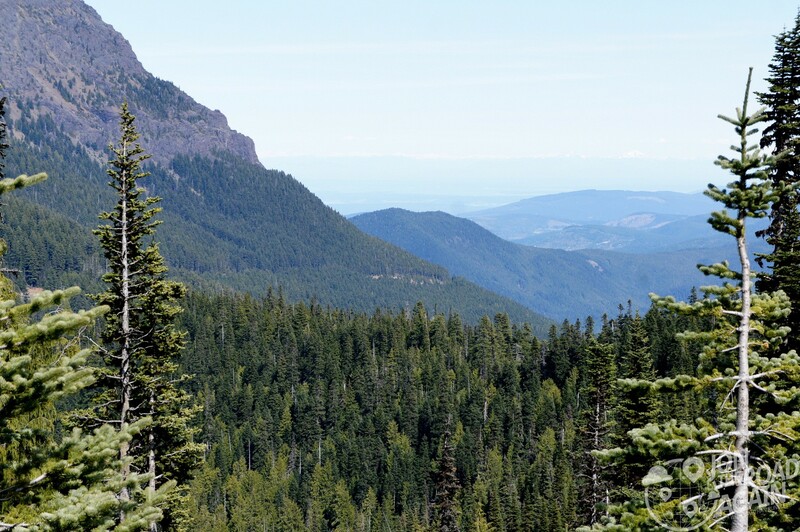 Once at the top, on a clear day you can see for miles across the Olympic mountain range. 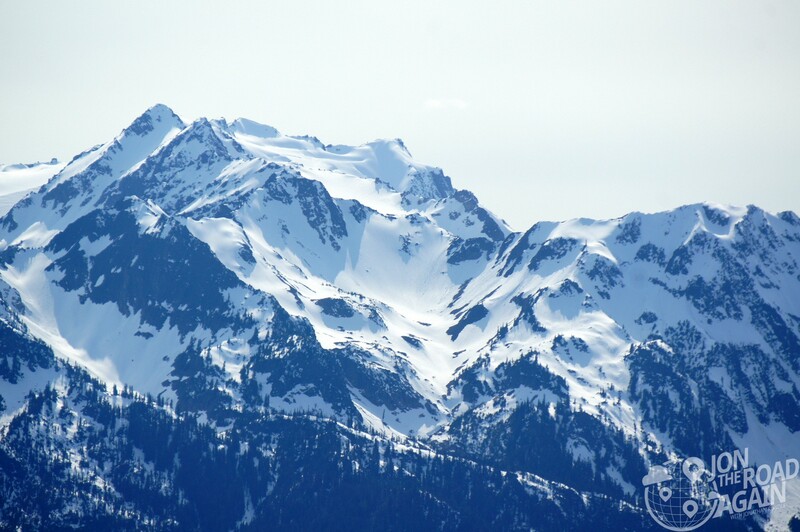 Not only will you see the peaks of the Olympics, like Mt. Olympus, but also across the Strait of Juan de Fuca all the way to Victoria, British Columbia and the mountains of Vancouver Island. There are plenty of trails that lead even higher than the visitor center. Keep an eye out for wildlife you may encounter on the trails (and on the main road! 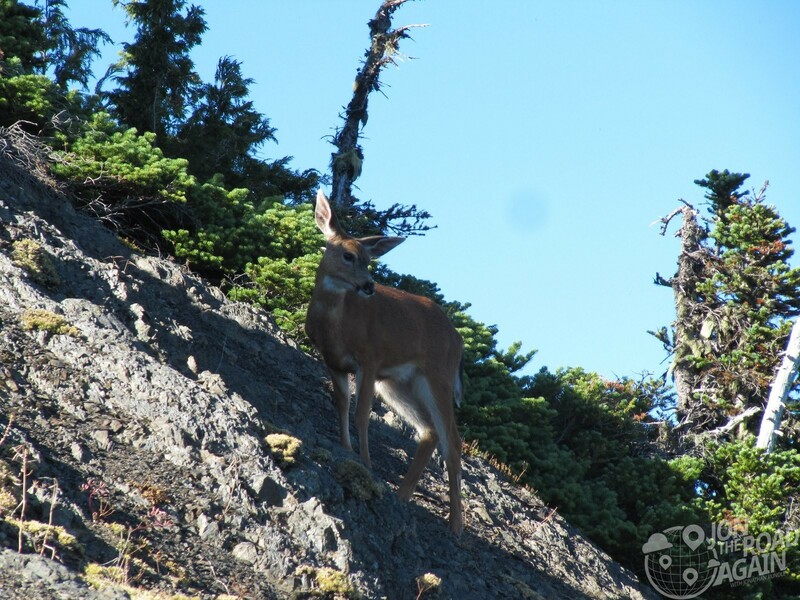 ), like this black tail deer clinging to the mountainside. Once I had all the hiking I could take in a leather jacket and motorcycle boots, it was time to head back down the mountain. 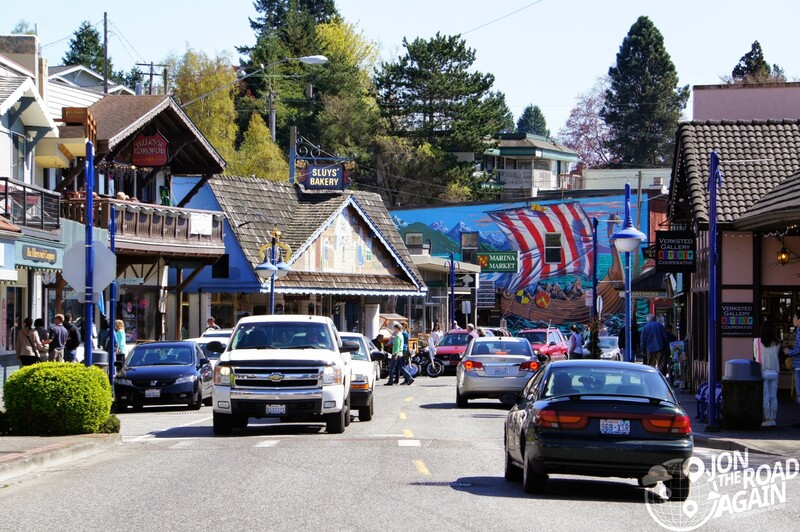 No trip to the Peninsula, in my opinion, is complete without a visit before or after to downtown Poulsbo. My choice? Tizley’s Europub for a hearty German schnitzel dinner and a Spaten pilsner. You might opt to grab a quick bite or a dessert at Sluy’s Bakery (I’ve tested cookies in my tank bag – they hold up very well). Time to hop back on the ferry just in time to watch the sun set. 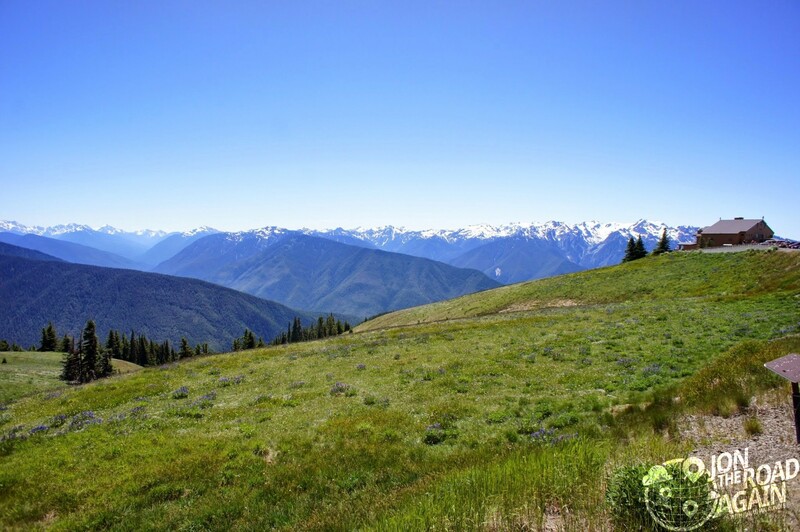 I’m thinking about going out to Hurricane Ridge this weekend. Thanks for sharing. Did you make it out to Hurricane Ridge? Your comment made me revisit this post to make it a little more informative, so thanks for that! Hope you enjoyed the trip if you made it out that way.